At Counsellor Exchange we are a team of dedicated professionals with a common goal – to provide innovative solutions for counsellors to expand their business. We want to break through the constraints of traditional counselling and make it easily accessible to everyone. We’ve created a virtual office that allows counsellors to interact with their clients anywhere there is an internet connection. Additionally, Counsellor Exchange enables counselling professionals to communicate and consult with other thought-leading mental health professionals in the industry. Marta brings a wealth of clinical and managerial experience to the Counsellor Exchange team. She was born and raised in Toronto and continues to call it home, but more recently, you can find her working and playing in Kiev, Ukraine and London, England. 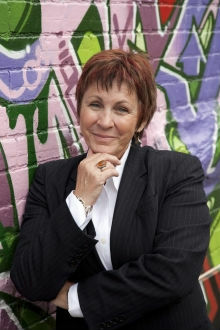 Marta graduated with a Masters of Social Work in 1986 from the University of Toronto. Since then she worked as a counsellor, and then in supervisory and managerial positions at a large Employee Assistance Provider, before hanging up her shingle to start a private practice. Her key motivation is watching the growth and development of clients and counsellors. “We all learn from each other” – that is her core belief in counselling. Marta has been actively involved in counseling clients in-person, by telephone and via the Internet. In addition to her professional life, she has a wonderful family that she enjoys spending time with, she works in community organizations and can be seen running in the streets of Etobicoke. Trish brings a tremendous knowledge and expertise to the Counsellor Exchange leadership team both from a clinical and a corporate perspective. Trish currently lives, work and plays in Toronto, Ontario, Canada but she says she has been inspired by the people she has met in all of the places she has lived throughout her life, including the UK, Canada and the US. Trish is a Registered Social Worker and Certified Executive Coach. Her extensive background of 30+ years as a psychotherapist includes expertise in the areas of sexual abuse treatment, trauma and recovery, mood-disorders, adolescent development and issue resolution as well as in the areas of sexuality issues which include orientation, gender and sexual health. 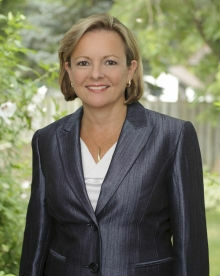 Trish’s work, in senior leadership positions, include private practice, non-profit and corporate environments. Her experience as a Corporate Director and as an Executive Director in non-profit organizations have made her acutely aware of work/life balance issues and the mental health issues intrinsic to a knowledge based workforce. In addition to other professional roles Trish is certified in traumatic stress intervention practices. As National Manager of Trauma Response for an Employee Assistance Program, she has been responsible for implementing intervention strategies that include 9/11 response, workplace accidents and she has worked closely with key leaders during workplace change and restructuring.